It’s now been over 50 years since this once-young naturalist began working in forest and field, and gaining an ever-increasing appreciation for the complexity and beauty of those ecosystems. Although my father had introduced me to the outdoors and my mother helped me catch my first snake, it was a college botany professor who introduced me to the writings of Aldo Leopold, the father of scientific wildlife management. And it was Leopold’s writing that really opened my eyes to the world of forest and field. 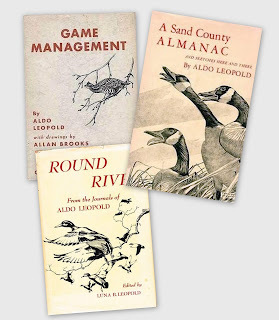 Aldo Leopold’s three – A Sand County Almanac, the best of the three: poetic and illuminating, combining philosophy and natural history; written by a great observer, teacher and storyteller who simplified complicated ideas and introduced the idea of a land ethic. Round River, an assemblage of additional Leopold essays, compiled after his death. Game Management, the original text on wildlife management, written in Leopold’s lyrical style, many of its concepts are still valid 85 years later. 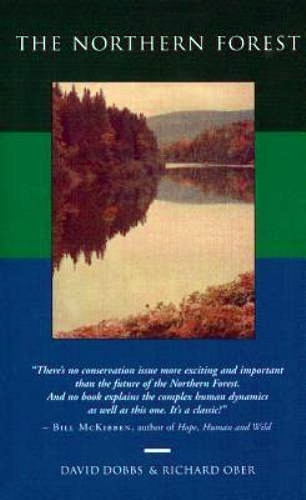 The Northern Forest by Dobbs and Ober – An excellent exploration of the complex interactions between ecology, economics and sociology in the 26 million acre forested landscape of northern New England and New York told in the words of the folks who live there. It asks the question, still unanswered, "Is it possible to protect a great forest without destroying the best parts of its resource-based economy and culture?" 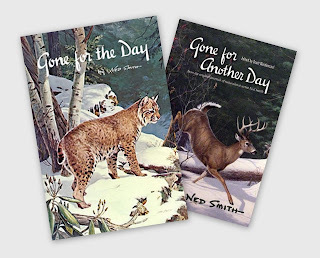 Gone for the Day by Ned Smith – Ned’s (for a brief time before his death I knew this great outdoorsman and famous artist) diary of days spent outdoors – watching birds and mammals, hunting, fishing, collecting mushrooms and observing the natural world. Highlighted by his sketches and short essays. 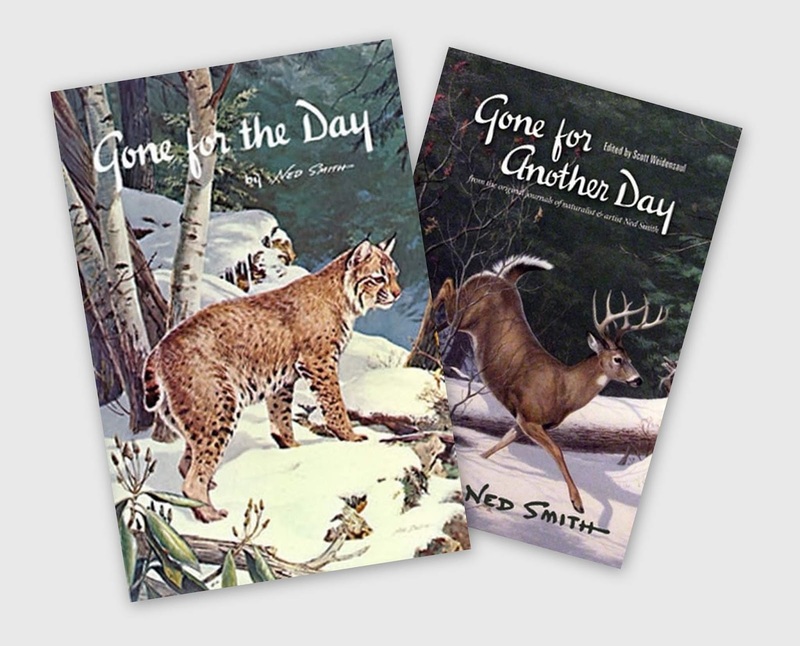 Gone for Another Day is a posthumous collection of additional diary entries and essays. 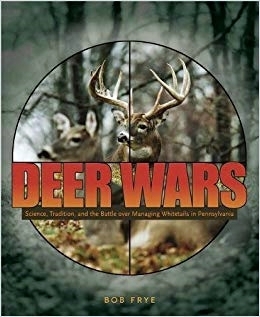 Deer Wars by Bob Frye – Whether you think there are too many deer or too few, this book is well worth reading. Both sides of the often vitriolic controversy are well presented. 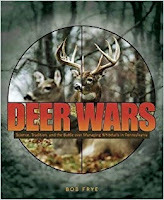 It matters not if you're a farmer, forester, birder, insurance broker, hunter, gardener or ..., the management of white-tailed deer has an impact on your life. 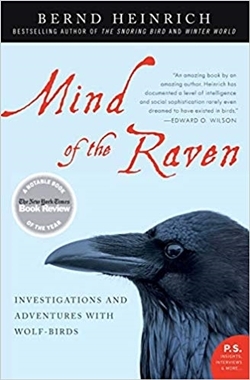 Mind of the Raven by Bernd Heinrich – Our most intelligent bird is the common raven, they follow wolves and hunters because they realize that a meal may be in the offing. They cache food for later use, but will move it if they think they've been seen hiding it or if the cache has been discovered. Heinrich, a skilled and prolific writer, takes the reader into his research on the mind and culture of these fascinating creatures. For more insight into ravens take a look at Heinrich's Ravens in Winter. I think I read recently that ravens mourn. And aren't these the birds that can imitate sounds? Like a cell phone ringing or am I confusing them with mockingbirds? Hello, nice collection of books. Thank you so much for linking up your post. Happy Saturday, enjoy your day and weekend.